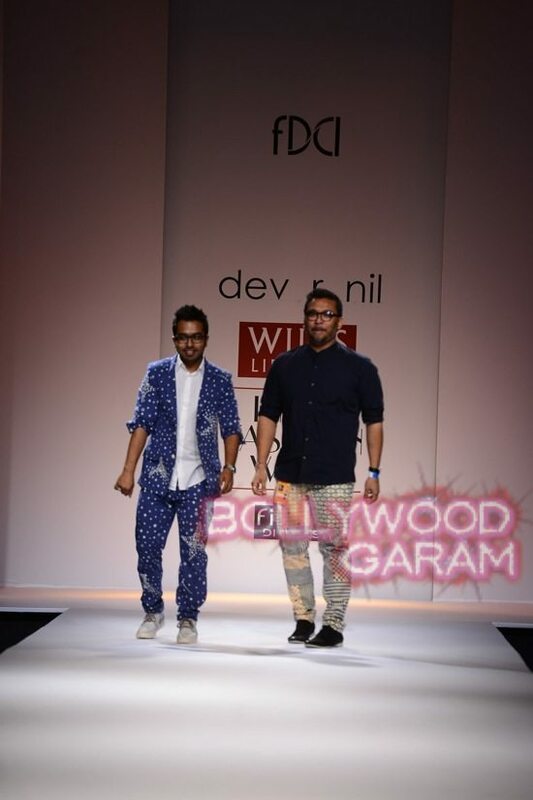 Indian designer duo of Dev r Nil showcase collection on Day 4 of Wills Lifestyle India Fashion Week 2015 in New Delhi. 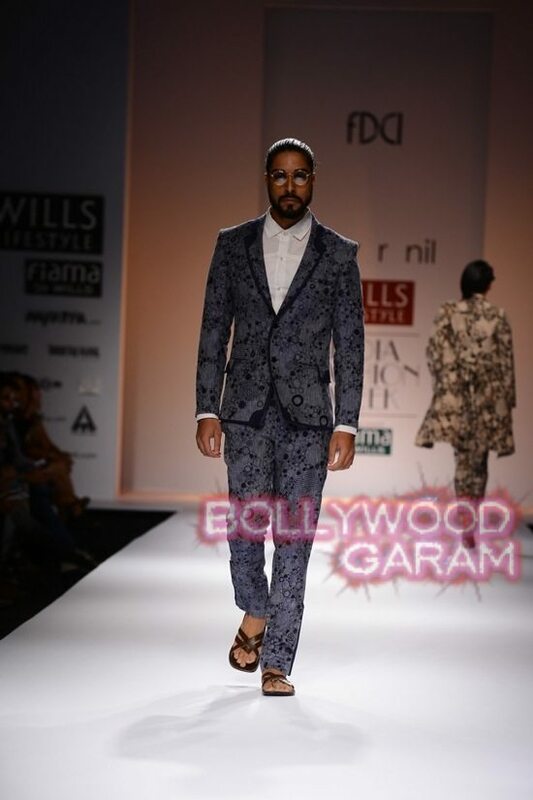 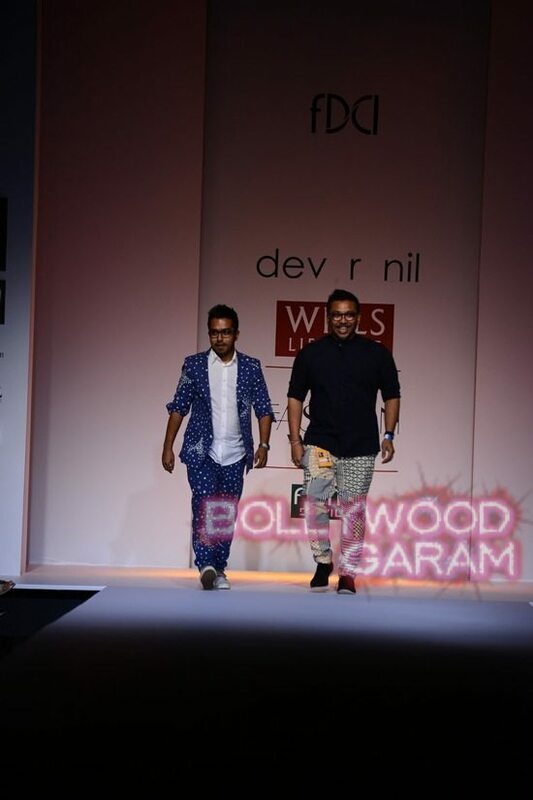 The duo of Indian designers, Dev r Nil showcased their collection on Day 4 of the Wills Lifestyle India Fashion Week 2015 in New Delhi on October 11, 2014. 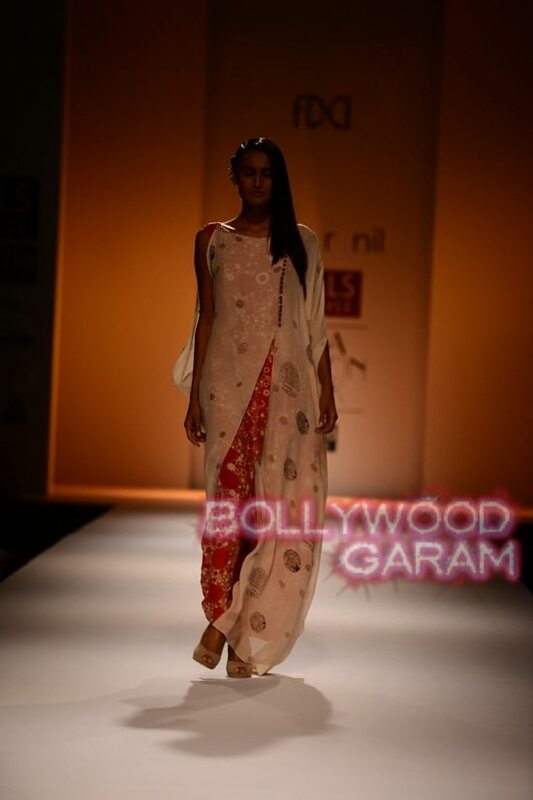 The duo are famous for crafting sarees with creative blouse designs. 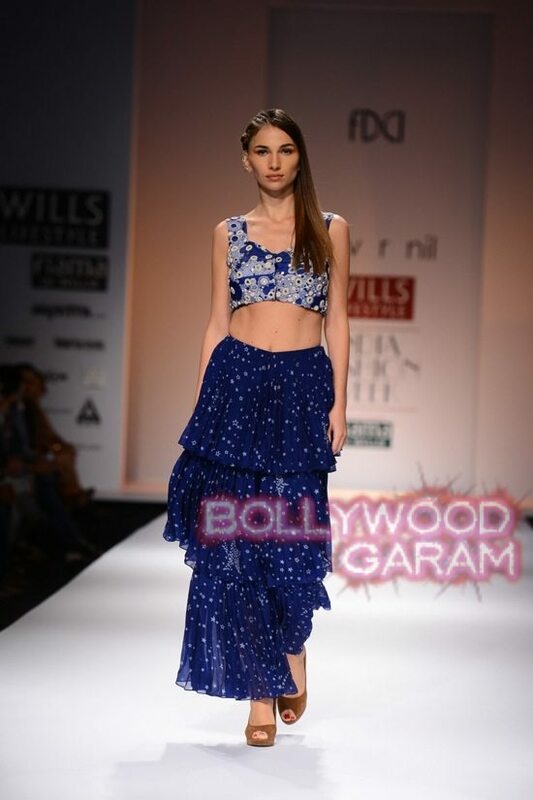 The duo presented a range of fluid designs in asymmetrical skirts and gowns. 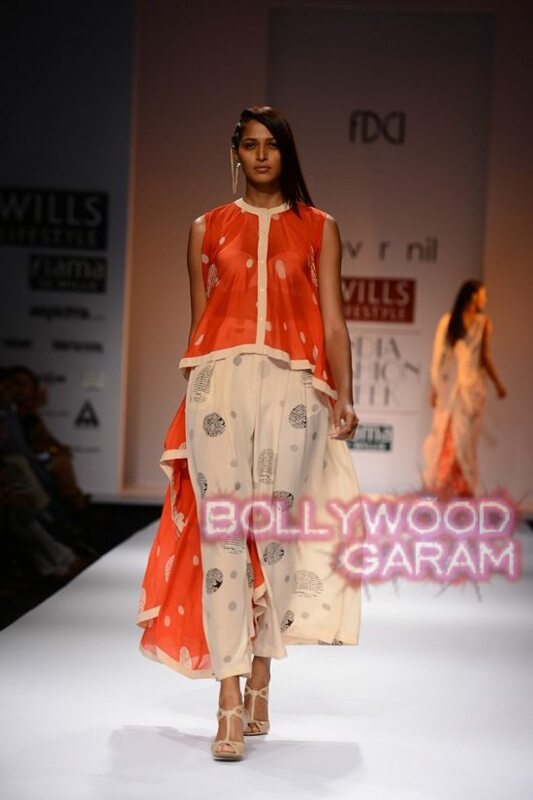 The prints on the clothing had heavy mirror work that intricately blended with the light colours that were used. 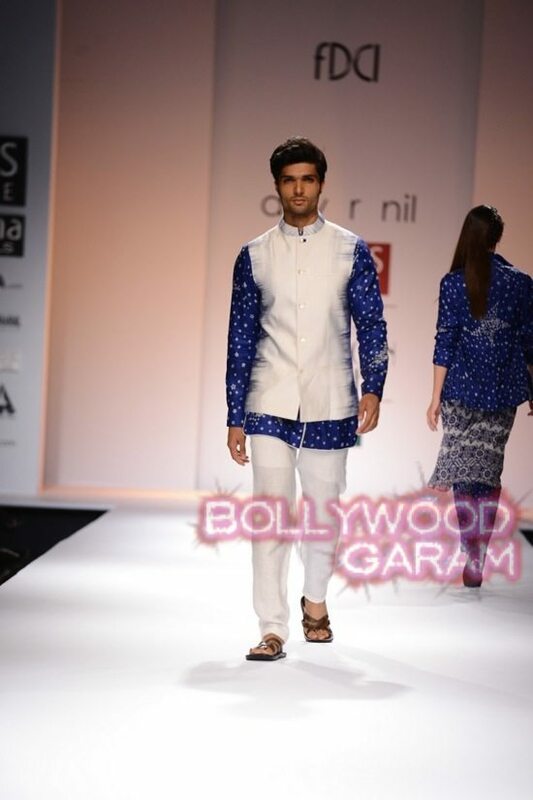 The two designers blended the Gujarati and Rajasthani style with some contemporary fashion to create a spectacle. 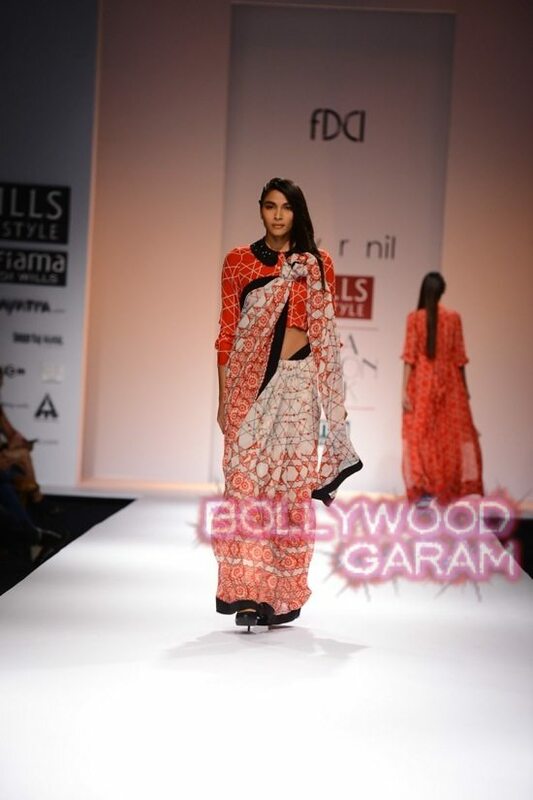 Bollywood actress Deepika Padukone is a big fan of the designs of Dev R. Nil and has often been seen wearing sarees of their collection.